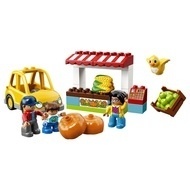 - Includes 3 LEGO® DUPLO® figures: a market stall owner, dad and a child, plus a bird figure. - Features a market stall and a buildable car. - Accessory elements include a cash register, pumpkins, apples and corn on the cob. - Preschool children will enjoy driving the car to the Farmers' Market and exploring the produce on offer. - Use the modern characters, accessories and decorated bricks to have fun, while helping your toddler learn about how to buy from a market stall or store with this versatile toy. - These large building bricks make an ideal gift for preschool children. - LEGO® DUPLO® products are specially designed to be safe and suitable for small hands. 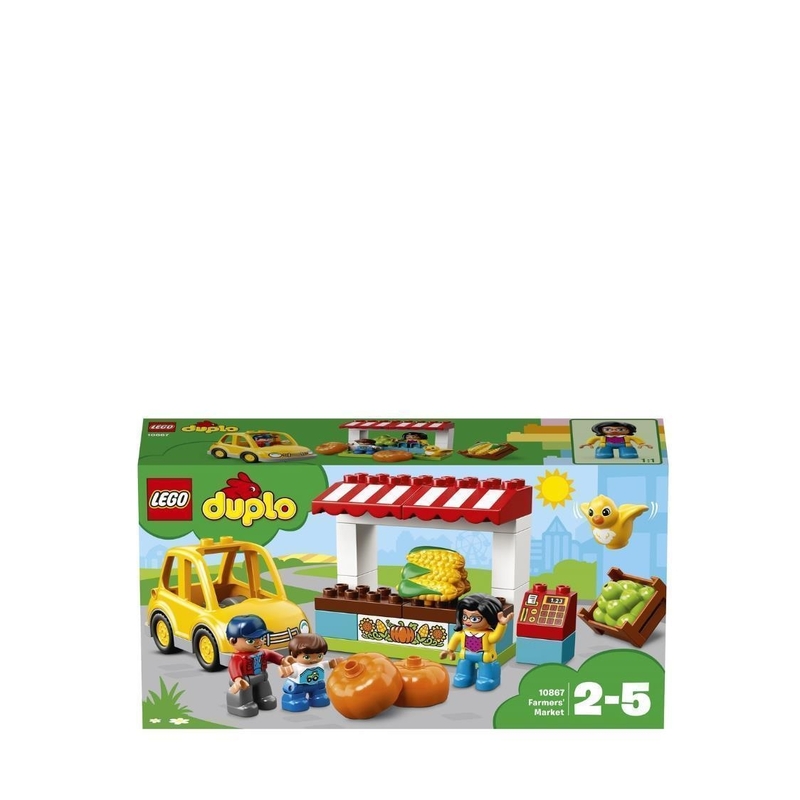 - There are several LEGO® DUPLO® Town products to collect and play out your child's everyday life in a recognizable DUPLO world. - Suitable for ages 2-5. - Market stall measures over 4” (11cm) high, 4” (12cm) wide and 2” (6cm) deep. - Car measures over 3” (9cm) high, 5” (14cm) long and 2” (7cm) wide.